If you are considering a diving holiday but are struggling to bring all aspects of the trip together you need to visit the Book Your Dive website. This unique website not only houses an incredible, easy to navigate directory of dive centres and dive related companies all over the world but you can even book all aspect of your diving trip through them, keeping all of your arrangements in one place. Not only does this mean that you do not have to trawl the internet looking accommodation in your chosen destination, and then start searching all over again for a dive company that operates out of there, it means that everything can be done in the one place with just a couple of clicks. If you are still unsure of your next diving destination let Book Your Dive make the decision for you. 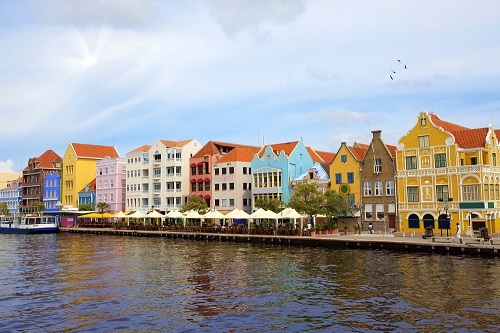 They are offering an amazing 50% discount on a week’s Dive and Drive trip to Curacao. Once you read what they are offering you will find that you are already looking forward to exploring the tropical reefs that edge this fabulous tropical island destination. **Package is based on double occupancy of apartment. Includes studio accommodation for 7 nights, unlimited shore diving for 6 days and car rental – upgrades for boat diving and apartments may be available). 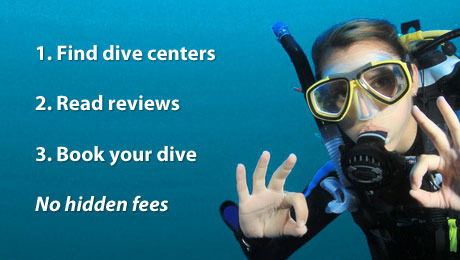 Check out the offer for yourself at Book Your Dive Curacao Discount Special and see how much money you can save. You are already thinking about it aren’t you? Crystal waters, tropical reefs and fabulous marine life all await your arrival. When you use Book Your Dive to plan and organise your diving trips you are not only making things a lot easier on yourself by keeping all of your information in the one place, you can be sure that everything is going to be taken care of in a professional yet friendly manner. There are no hidden fees or extra charges for using their website service, all prices are clearly stated at the time of booking. Using a directory such as the one on offer at Book Your Dive, means that you can research the diving companies and dive centres in your chosen location before you commit to booking with them. Offering you peace of mind, knowing that you are going to be in safe hands with the dive centre staff, rather than turning up at your location to find an operation that gives you cause for concern. So what are you waiting for? Get online today and see just how much money you can save and start packing your bags for the trip of a lifetime. This entry was posted in Scuba Diving, Water Sports and tagged Book Your Dive, Dive Holiday, Dive Vacation. Bookmark the permalink.